The new 4D InSpec Surface Gauge puts high resolution measurement right in your hand. Measure pits, scratches, bumps and surface features on small and large components—right on the shop floor. With the new 4D InSpec Surface Gauge you can measure surface features and defects in seconds—anywhere in the shop. The 4D InSpec Surface Gauge measure corrosion, defects and fine features, even on large components, under flanges, on curved surfaces and in tight corners. 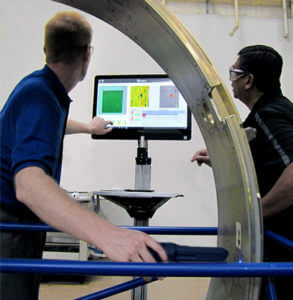 The 4D InSpec brings high resolution, 3D surface measurement to the factory floor. Measure pits, scratches, nicks, dents, bumps, rivet depth, dot peen depth, etc., from 0.0002” to 0.1” (5 µm–2.5 mm) deep or tall. The 4D InSpec is far more repeatable and accurate than visual comparison techniques typically used for surface defect measurement. 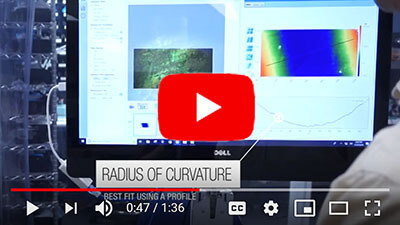 Unlike high-end metrology systems it is rugged, flexible and affordable, to measure features on a wide range of part geometries, in the most challenging environments.